Feeling disappointed that you missed out on the Bitcoin boom? The people promoting UTokens say this digital currency is the next big thing. According to one website promoting UTokens, the currency was born in Asia about a year ago and has become popular in 15 countries including Malaysia, Vietnam, Singapore, Thailand, Hong Kong, Korea and Indonesia. The site says the currency is backed by three large Asian banks. Income from sales of UTokens is invested in property, gold, marble mining, among other things. Twenty-two percent of the income from sales is held in reserve. The site includes a chart comparing UToken and Bitcoin, a quote from investor Win Kongmuang and a form to fill out if you want to be contacted by a UToken representative. 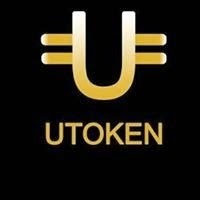 UTokens is also on Twitter.